The tension between Yosef and the brothers is clear and obvious to anyone who reads this week’s parshah. But while we often think about their animosity as a product of Yaakov’s favoritism towards Yosef, there may actually be more to the story. The Torah is perfectly written with each quill-stroke, and every mark made has meaning- even the non-letters. The pasuk says “The brothers went to shepherd their father’s sheep” (37:12). Above the hebrew word “et”, there are two dots, one of only a few examples in the Torah. Rashi explains, quoting from the Midrash, that they’re there to indicate a message implicit in the verse: ‘they went to pasture (indulge) themselves (not the sheep)’. What is the meaning of this Rashi? Interestingly, we have a few other examples of when sheep are used as a barometer for righteousness. According to the Midrash, Moshe famously cared for a sheep as a precursor for being chosen by Hashem to lead the Jewish people. Later, when appointing a successor, Moshe analogizes the necessary leader as a shepherd who can lead sheep properly (Bamidbar 27:17). Similarly, we see Dovid respond to Shaul proving his qualities as a shepherd (Shmuel 34:17). How one treats even innocent sheep can indicate a person’s character. 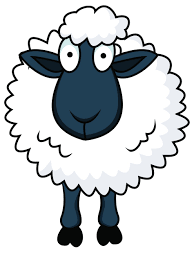 The reason sheep are an important barometer is because it removes the pretext of being anyone else’s fault. When the brothers “indulged themselves”, according to Rashi, it had nothing to do with Yosef. They weren’t jealous of the sheep. They were simply concerned more with themselves than with anyone else- that includes sheep, and Yosef. Oftentimes, we assume that our deficiencies are due to others- an annoying neighbor, a strict teacher, a bossy co-worker. While these are certainly possible causes of our own behavior, it may not be the only reason. The true test of character is how we act when no one’s around; when there are no interactions to blame it on. What this Rashi teaches us is that our own qualities are judged independently, regardless of who -or what- we’re with.